It’s a classic denim jacket with a few well-worn details, and an excellent sale price. 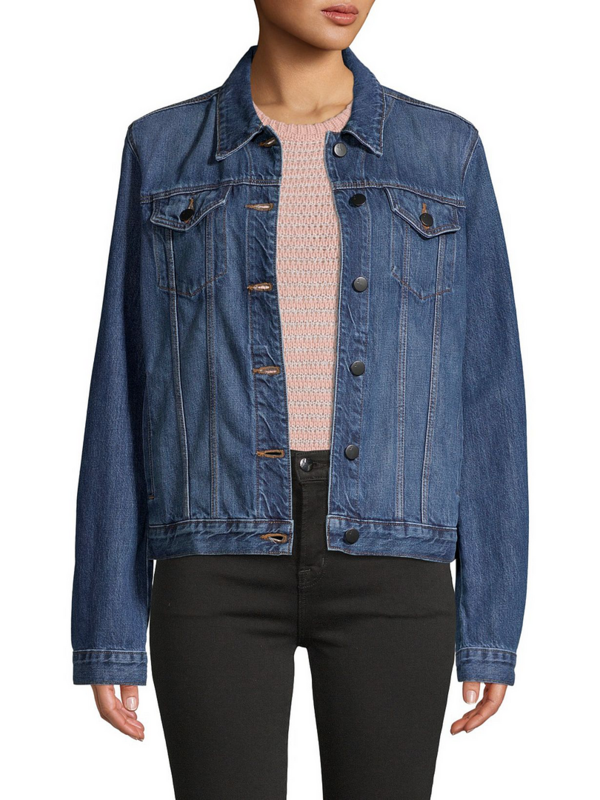 This cotton/ Lyocell blend jean jacket from designer denim label J Brand features a spread collar and button front with chest buttoned-flap pockets. It’s machine washable and available in sizes XS to L. Wear it now paired with a cotton tank top and chino shorts for an all-American summer vibe. When fall rolls around, pull it on over a lightweight cashmere sweater for an extra layer of warmth. Regularly priced at $378.00, it’s marked down to $104.99, plus you can score an extra 30% off with coupon code JEANIUS. That makes the final price a very reasonable $62.99. Such a great deal. → Buy the J Brand Frayed Denim Jacket, $62.99 (was $378.00), at saksoff5th.com.